Dating back thousands of years, garnet was often used by Egyptian pharaohs for both ornamental and ritualistic purposes. In ancient times, garnet was cut in cabochon and called "carbuncles" – though it was not the most flattering of names, as it was also used to describe the effect of boils on the skin. The ancient Romans adorned themselves in garnet rings and traded garnet gemstones. 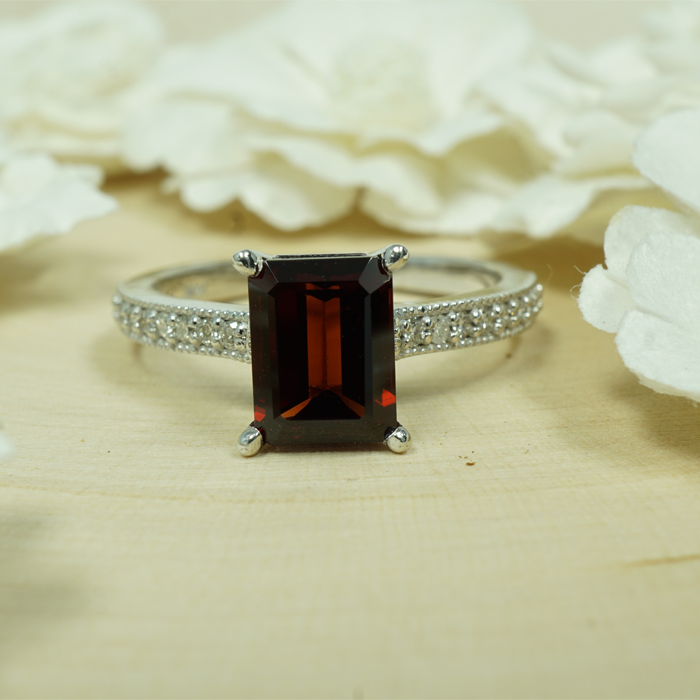 The term “garnet” is said to originate from the Medieval Latin word, "granatum", meaning "dark red". It is believed that the word derives from the word "pomegranate", as it relates to the color of the seed coats. It also may have originated from a different Medieval Latin word "granum", meaning red dye. Its formula is X3Y2(SiO4)3 and has a ranking of 6.5 – 7.5 on the Mohs scale of mineral hardness. Its crystal system is isometric/cubic rhombic dodecahedron and icositetrahedron, with a natural conchoidal to uneven luster. All varying species of garnets hold comparable physical properties and crystal forms, though differ in terms of chemical composition. Different species include: pyrope, almandine, spessartine, grossular, uvarovite and andradite. Garnet makes up two solid solution series: pyrope-almandine-spessartine and uvarovite-grossular-andradite. Its light transmission properties can come in a wide array, from the gemstone-quality transparent specimens to opaque variations used as abrasives for industrial purposes. Garnet’s luster is classified as vitreous (glass-like) or resinous (amber-like). It crystallizes in the cubic system with three equidistant axes that are perpendicular to each other. Garnet does not show cleavage, so when it breaks under stress, it creates sharp asymmetrical pieces. Due to widespread discoveries of the stone across many regions during the nineteenth and twentieth centuries, garnet is now a very readily available stone. The current leader in garnet production is Africa. Different varieties of the stone are sourced in many locations around the planet. 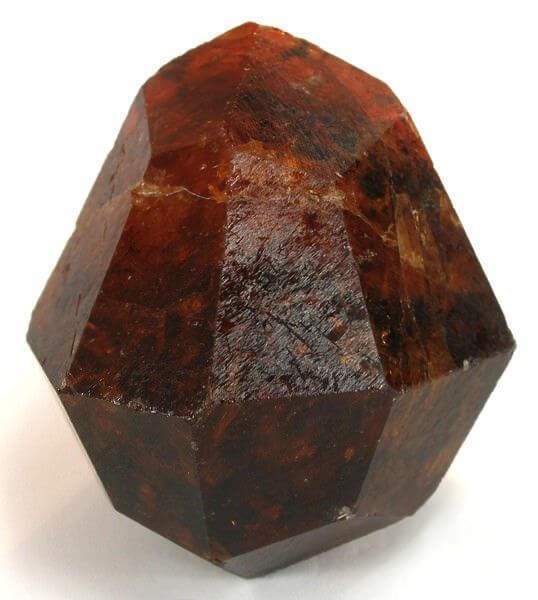 Pyrope garnet is mined in South America, Brazil, Australia, the U.S., Mexico and Myanmar. Almandine garnet is found in places like Sri Lanka, Mozambique, India, Brazil, Alaska and Greenland. The increasingly popular rhodolite garnet is sourced mainly in Africa, India, Sri Lanka and the U.S.